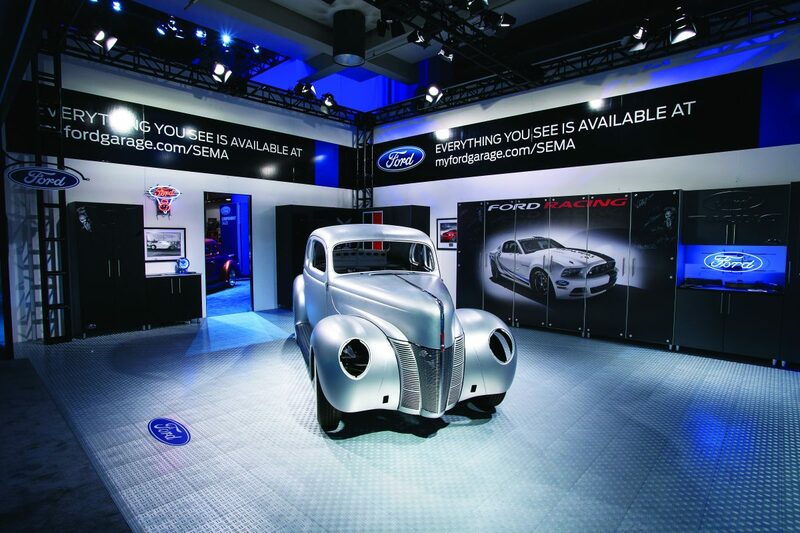 As a Jetset reader, odds are you’ve spent a pretty penny on your automobile collection. 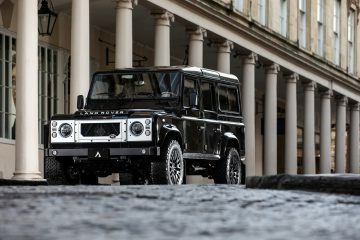 Over the years you have amassed an admirable assortment of automobiles that embodies your tastes and desires, while building a garage that is a reflection of yourself. If this sounds like you, then you probably want to make sure that the garage is as well-appointed as possible. That definitely means procuring the proper flooring. 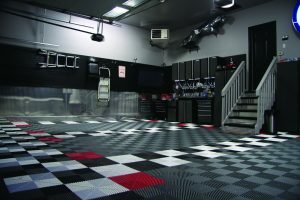 Earning their reputation as “The World’s Finest Modular Flooring” (and the admiration of fervent car collectors like Jay Leno), Swisstrax is the leading name in modern alternatives to standard concrete or epoxy flooring. 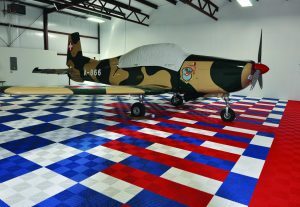 Not just built for garages, Swisstrax makes exceptional quality tiles for your airplane hangar, gym, athletic court, office, mancave, or showroom. These modular tiles are easy to set up and maintain, can withstand up top 70,000 pounds, are silent, chemically resistant, non-slip, self-draining, recyclable, and UV-resistant. 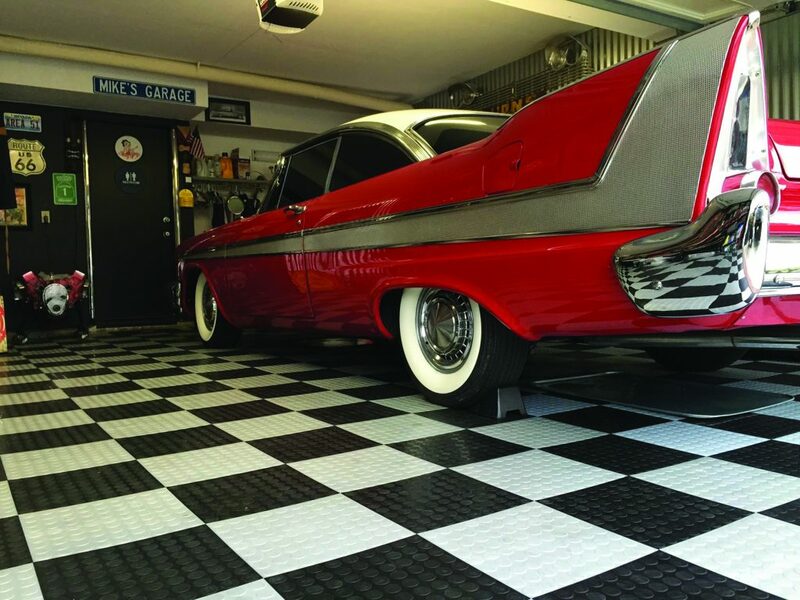 Backed by a full 15-year warranty and a 30-day money back guarantee, Swisstrax tiles easily interlock and cover cracks, stains, damaged epoxy, or concrete in your garage or elsewhere. The company began when its president and CEO Randy Nelson moved to Switzerland over a decade ago. While overseas, he carefully absorbed all he could about fine Swiss craftsmanship and engineering, and when he returned to the States in 2005, he applied all of his knowledge into founding Swisstrax. The idea was “Swiss craftsmanship-meets-American engineering,” and almost overnight, the company took off. 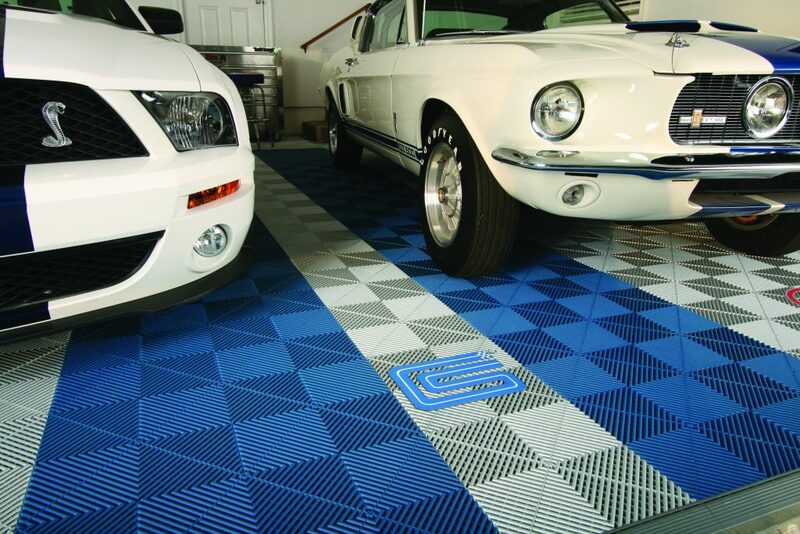 Over the past 11-plus years, Swisstrax has partnered with such esteemed brands as Barrett-Jackson, Ford, Dodge, Shelby, John Deere, GM, and Mercedes-Benz. Aside from their exceptional craftsmanship, part of what separates Swisstrax is their unique injection process. While most of their competitors use a one-point injection to fill their flooring, Swisstrax boasts a four-point injection process, leaving its engineers to craft a tile with a level of precision (and material-per-tile) that their competitors cannot claim. As soon as you unpack your Swisstrax tiles, you will immediately notice both their thickness and density; these are clearly very substantial (and stylish) tiles. Another thing that elevates Swisstrax beyond the competition is their devoted commitment to customer service. After visiting their website (Swisstrax.com) or giving them a quick call, you will quickly see why they are so highly respected in their industry. 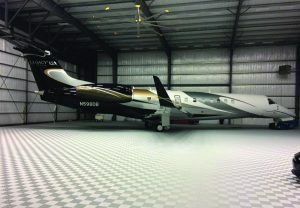 They make sure that the entire process of selecting tile and designing your ultimate garage, gym, or jet hangar, is as easy as possible. There are a vast assortment of colors, a brilliant “Floor Designer” application on their site helps you easily visualize your final product, and their support staff is friendly, helpful, and responsive. Swisstrax also offers a number of different styled tiles for any location. 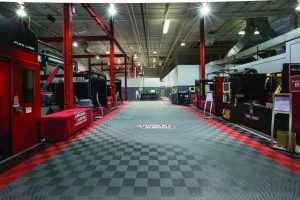 For a garage, hangar, or professional workshop, I would recommend their new Diamondtrax. These tiles are billed as being “bigger and bolder” than the traditional Swisstrax, and they boast a “diamond tread” solid surface design which gives them a very cool metallic, industrial look. But regardless of which Swisstrax you choose, you are guaranteed the best possible flooring to protect what you have worked so hard to achieve…and that is something that cannot be overlooked.